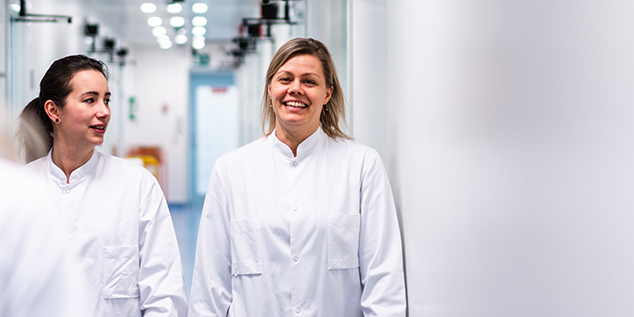 Bavarian Nordic is a fully integrated biotechnology company focused on the development, manufacturing and commercialization of cancer immunotherapies and vaccines for infectious diseases. Our pipeline comprises multiple product candidates which are subject to more than 20 ongoing clinical studies in infectious diseases and cancer. Many of our programs are supported by external funding through either private or governmental partnerships. job satisfaction and personal growth have a high priority. A job at Bavarian Nordic means spending your workday among talented and enthusiastic colleagues who share the same goal: success. We strive to maintain a rewarding environment in which that goal can be achieved. We are always looking for talented people to join our exciting world of vaccines and cancer immunotherapies. Wonder how it is to be working at Bavarian Nordic? We asked our employees of their opinion.